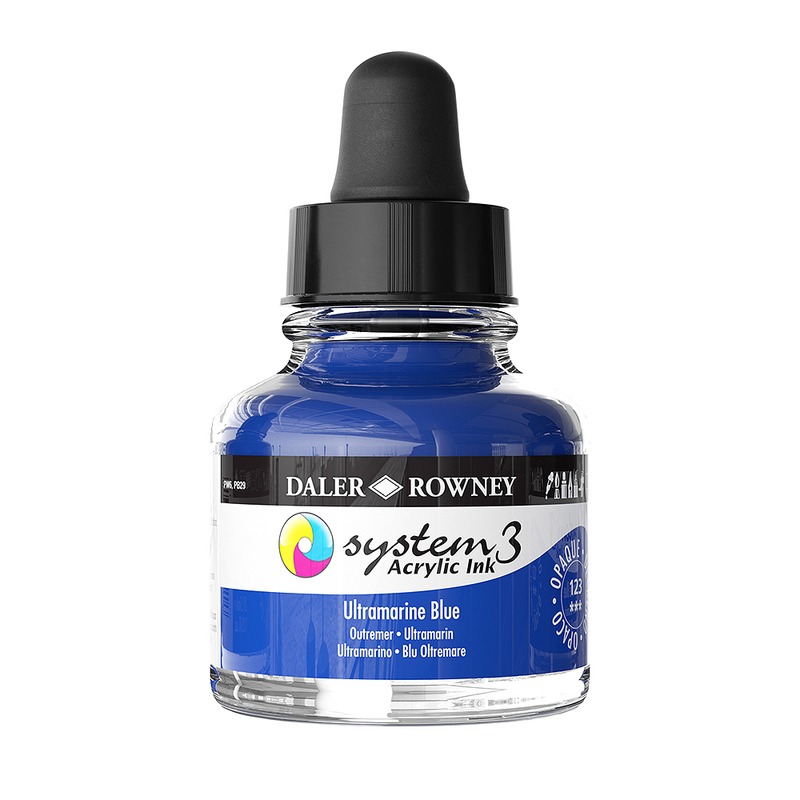 This new range of System 3 Acrylic Inks from Daler-Rowney offer a great way to add vibrant colour to your mixed media projects. These pigment-based acrylic inks offer vibrant, opaque colour available in 28 hues that can can be used with a variety of applications. Ideal for mixed-media they can be used for urban art, airbrushing, card making and most arts and crafts projects. To bring out the brightness of your inks make sure to use them on a bright white surface. These inks form a water-resistant film when dry. If they are used on textiles then they will need to be heat-set for optimal results. Water-based. Shake lightly before use. Each ink comes in a 29.5ml bottle with a dropper in the lid. System 3 Acrylic Ink Introductory Set of 6 29.5ml bottles is also available.